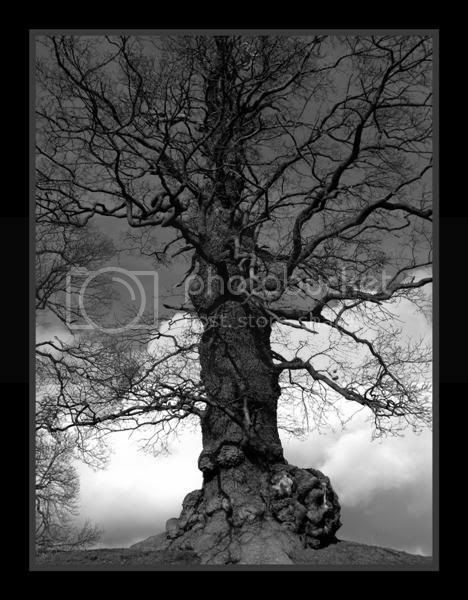 after taking another 150 rubbish shots i got a nice looking tree and pinched your ideas of putting a border around it!! i didnt really go out to get good shots, more testing the camera out as my colours were bad yesterday. think i have solved that one but i still put this in black and white as i liked it that way. This is another very good shot Fee. The tree stands out very well against the sky and the shadows on it give it some life. Great Fee, this one is really suited to Black and White. A very interesting tree! that is so nice of you to say so because this is all new to me and i know what i like to see in a picture but i just have trouble recreating it. ............ this is all new to me and i know what i like to see in a picture but i just have trouble recreating it. Oh! Fee you are amongst many friends here then! i used the 'virtual photographer' and used spooky mode on my tree! thanks for that, yes i prefer the original too! do you know my husband HATES editing photos. he cant understand why we would want to fiddle with a good photo!! Fee, tell your Hubby we do it because it's fun !!! 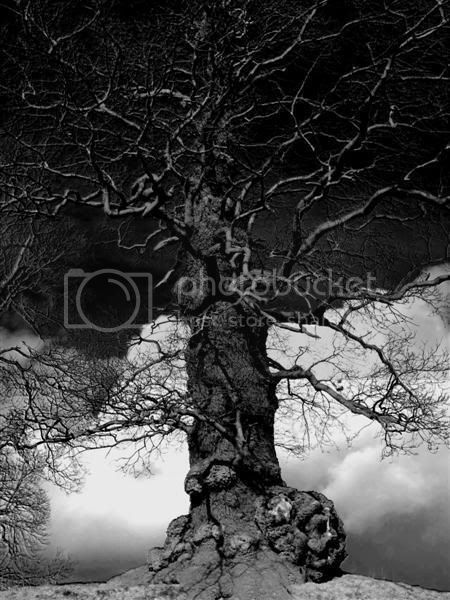 I like the tree shot, looks like a Holloween tree !! Well done. Thats spooky all right, nice..
Fee...beautiful shot. Love the original. It is composed well.